The ‘Top 17 of 2017’ – These guys were the best paddlers in the world this year. SUP Racer quietly celebrated its 6th birthday a couple of weeks ago (time flies), and if one thing has defined this site over the past half a dozen years it’s the world analysis. I love analysing this sport. It all began with one of the earliest posts on the site: The Top 11 of 2011. 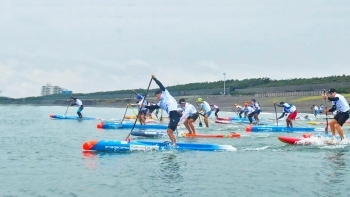 That story got a lot of attention and helped kickstart SUP Racer as we know it, and from there it followed with year-end “best of” lists in 2012, 2013, 2014, 2015 and 2016. In brief: Lincoln Dews has taken out the second race of the Aussie Titles on the Gold Coast today, winning the beach race ahead of James Casey and yesterday’s marathon champ Michael Booth to secure a spot on Team Australia for the fifth time in six years. 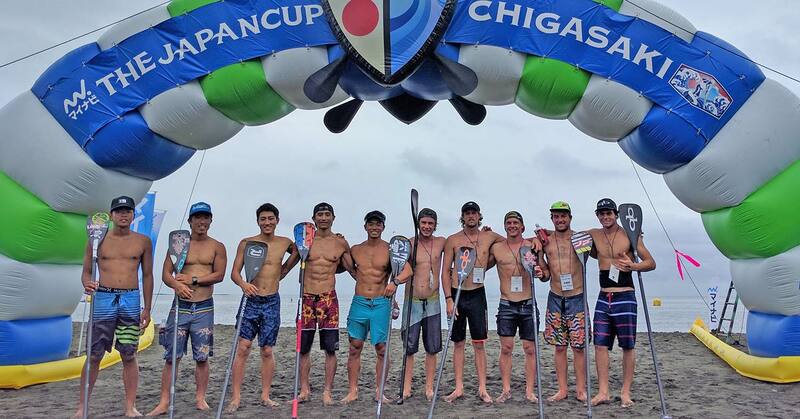 In brief: Michael Booth has defended his Japan Cup title on the black sands of Chigasaki this weekend, overpowering a small but elite field of internationals that raced alongside hundreds of weekend warriors in one of Japan’s biggest paddle events. 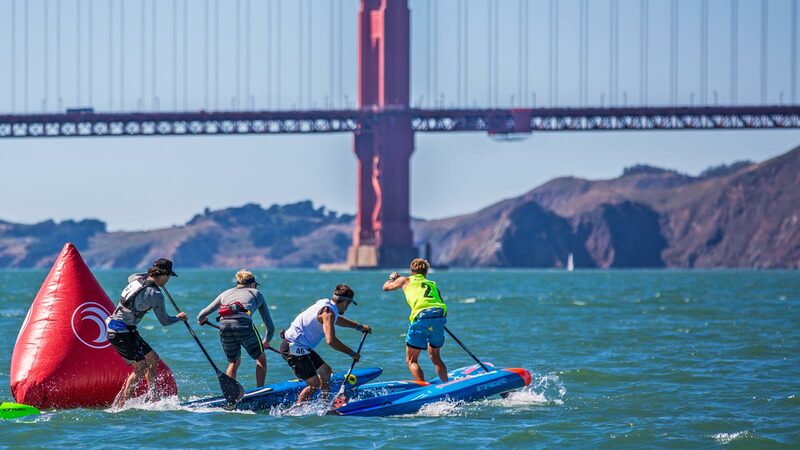 Annabel Anderson and Connor Baxter have highlighted their respective world number one statuses here at today’s 7th Annual Battle of the Bay in San Francisco, claiming this morning’s race around iconic landmarks Alcatraz Island and the Golden Gate Bridge before backing up with victories in this afternoon’s beach race. What a year it’s been for our sport, with great performances by incredible athletes at big events all around the world making for an exciting season of racing. 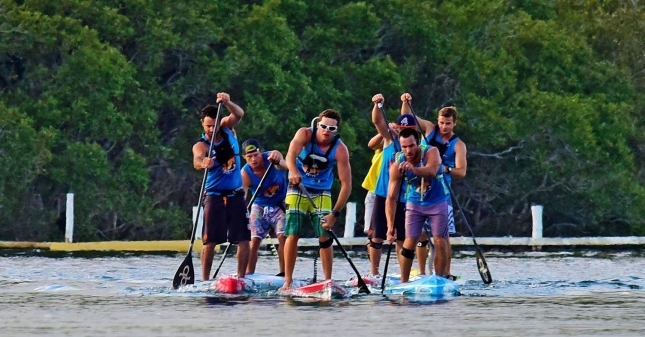 Take a look at this great recap from the big downwind showdown on the weekend, the Stand Up Surf Shop King of the Cut, where 140 paddlers from Australia and around the world enjoyed an afternoon of bump riding and beers in Western Australia. 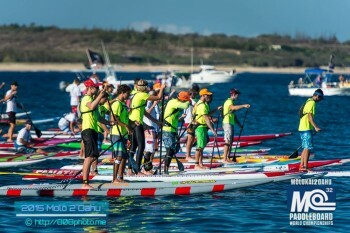 Team NSP’s Titouan Puyo has taken out the Stand Up Surf Shop ‘King of the Cut’ race in Western Australia, earning a clean sweep of Downwind Week after victory at The Doctor last weekend and cementing his reputation as one of the world’s greatest downwind paddlers. 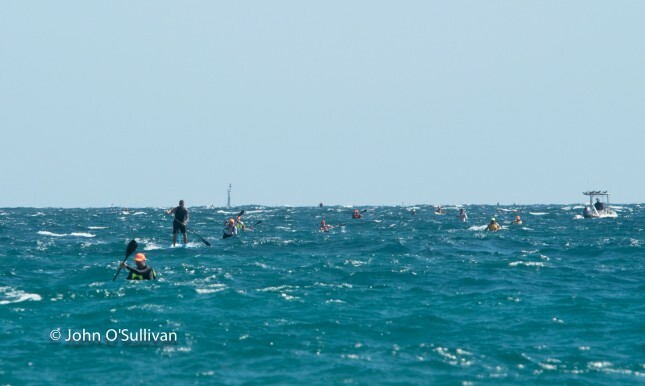 Jake Jensen and Karla Gilbert took out Currumbin SUP Club’s inaugural “Downwind Challenge” on Queensland’s Gold Coast yesterday, with the five dozen assembled paddlers enjoying a great downwinder from the iconic Snapper Rocks north to Tallebudgera, a run of approximately 11kms (6.8 miles). Annabel Anderson and Mo Freitas have claimed lucrative wins on the second and final day of the Mynavi Japan Cup here in Chigasaki. 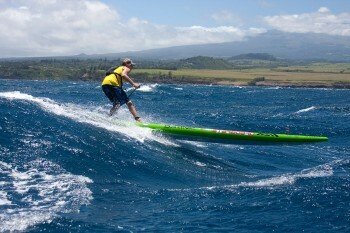 Molokai “Preview & Predictions” — Who’s Going to Win the Most Prestigious Race of the Year? We’re just over 24 hours away from the most prestigious race of the season, and what a race it’s shaping up to be. 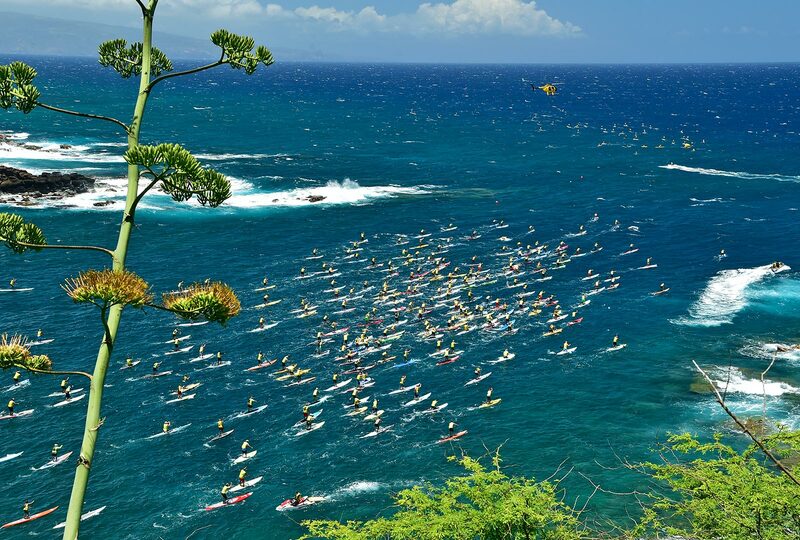 The 20th annual crossing of the Ka’iwi Channel between Molokai to Oahu is already destined for the history books, but a record level of talent and a few last-minute twists should ensure we’ll be talking about this one for many years to come. 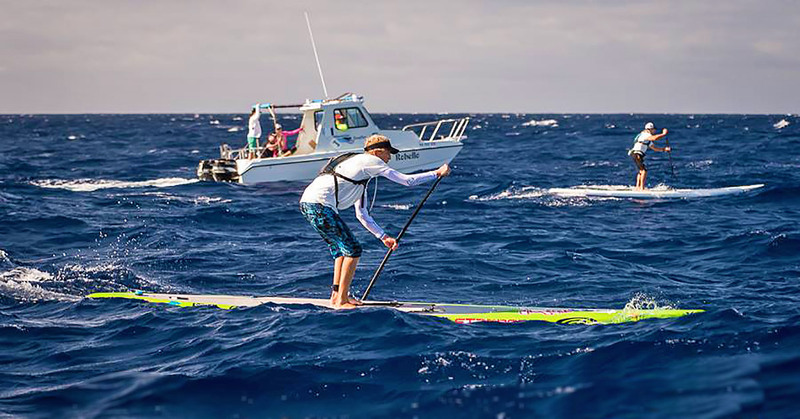 Just in case you couldn’t make it to Hawaii on the weekend, here’s a great clip from Saturday’s big Maui2Molokai race, aka M2M, featuring some insightful athlete interviews and plenty of endless downwind glides. 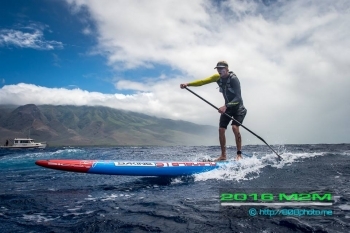 Connor Baxter has won a record seventh-straight Maui 2 Molokai (M2M) title, narrowly edging out Travis Grant in one of the fastest ever channel crossings, and setting up a mouth-watering clash at the major Molokai 2 Oahu (M2O) showdown later this month. 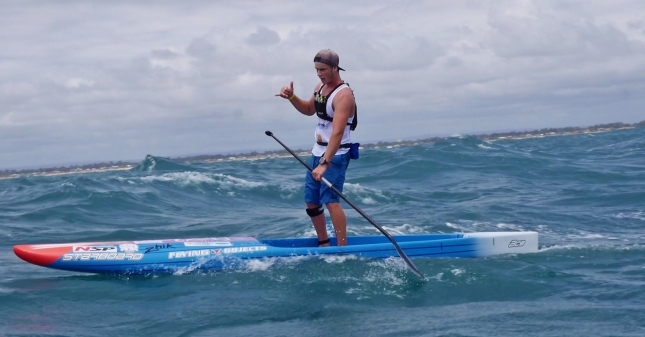 Connor Baxter has won his 5th straight OluKai title, defeating an all-star cast of the world’s best downwind paddlers in near-perfect conditions on Maui this afternoon. 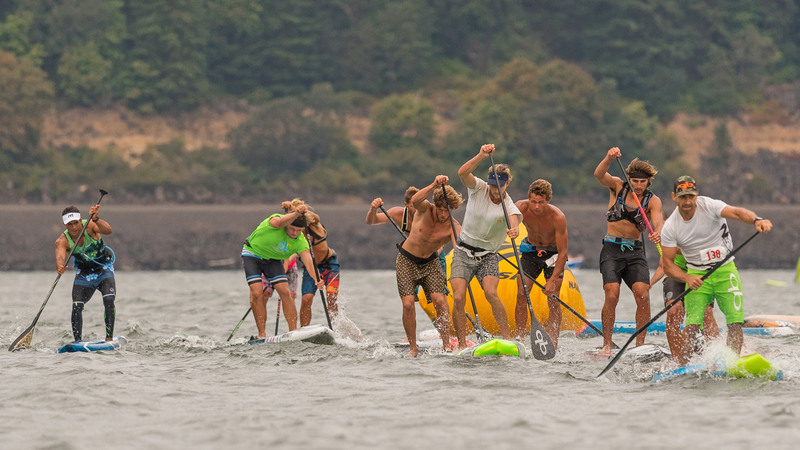 We’re still coming down from the high of Carolina, but there’s no time to rest as the paddling world heads straight into another big weekend of racing. From the Key West Classic in Florida to the big downwind showdown on Maui, there will be plenty of results to keep track of on Saturday. 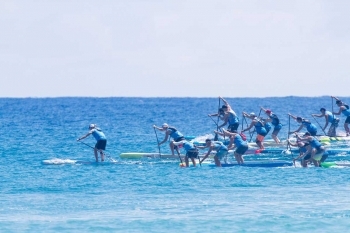 The start list for the 2016 Molokai 2 Oahu Paddleboard World Championships has just been revealed, with the men’s solo stand up paddle division attracting the most competitive field in the event’s 20 year history. 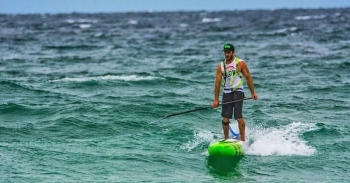 In brief: Michael Booth has taken out the Forster Island Paddle Festival in Australia, beating a quality field and proving once again he’ll be a top 10 contender on the world rankings leaderboard this year. 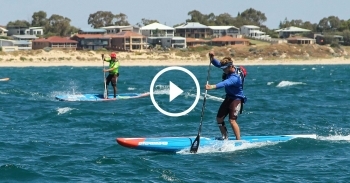 Great highlights reel from last weekend’s big King of the Cut downwind race in West Oz, which was won by Matt Nottage and Angie Jackson. Fresh off his King of the Cut crown, Australia’s Matt Nottage has jumped right up the Top 100 Leaderboard to claim a world ranking of 13th. 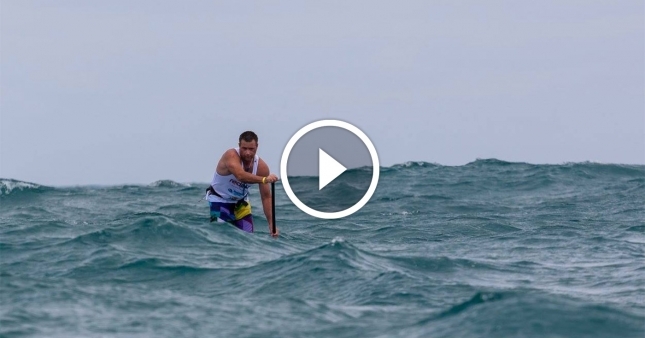 Matt Nottage has proven he’s one of the best ocean paddlers in the world for the second week in a row, taking out today’s King of the Cut downwind race, presented by Stand Up Surf Shop, in triumphant fashion. 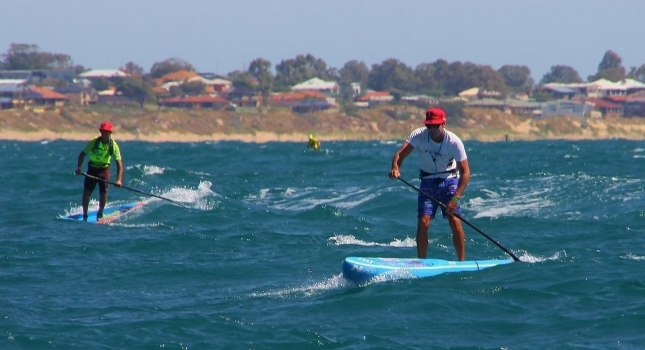 Matt Nottage has shown he’s one of the best ocean paddlers in the world right now, defeating world number two Travis Grant, defending champ Beau O’Brian and a dozen more international level athletes to win The Doctor ocean race as part of Aussie Downwind Week.